The Election Commission of Pakistan (ECP) has sent a notice to deposed prime minister Nawaz Sharif asking him to appear on 13 September in a case related to banning him from taking part in any political activity and delisting of the ruling Pakistan Muslim League-Nawaz (PML-N) as a political party. 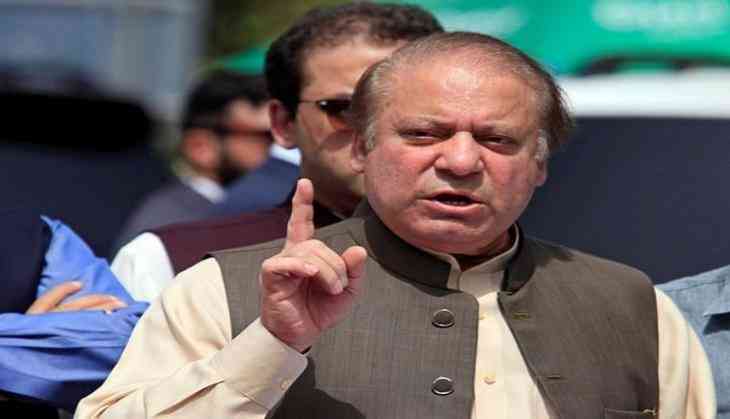 The petition to ban the PML-N as a political party and ban Sharif from taking part in any political activity has been submitted by Raees Abdul Wahid, an advocate of the Islamabad High Court . The ECP has asked Sharif to either appear before the commission in person or through a counsel at their Islamabad office on September 13 or submit their response on the matter. The PML-N is registered under the name of Sharif, who has already relinquished the office of party president. Sardar Yaqoob Nasir has been appointed as the acting president of the party, the Express Tribune eported.. The ECP has fixed Wahid's petition for initial hearing on 13 September. Sharif is likely to engage a counsel to represent him. Nawaz Sharif has left for London on 30 August to meet his ailing wife Kulsoom Nawaz who has been diagnosed with throat cancer. Kulsoom Nawaz is contesting National Assembly NA-120 by-poll as the PML-N candidate which is due on 17 September. Pakistan's Supreme Court in July disqualified Prime Minister Nawaz Sharif from office after a damning corruption probe into his family wealth in connection with the Panamagate.